Following on from the successful 2012 release of ‘Now Is The Time’, folk-rock band Green Diesel offer their second studio-album ‘Wayfarers All’. The new album sees Green Diesel building up on the groundwork from their previous album and truly reaching new heights as they delve deep into the folk genre, taking small bits here and there and re-interpreting them, as well as presenting their own understanding of the genre in the form of their own songs. The result is nothing short of brilliant, with ‘Wayfarers All’ coming across as a phenomenal successor to the already brilliant previous album. Something about ‘Wayfarers All’ feels much more thought out and planned, giving a great deal of strength to the album itself. Green Diesel seems to have found themselves musically, and are now truly utilizing their talents and creative ideas to really push out some great songs. Each of the band members contribute enormously to the overall sound, giving a great amount to the actual quality of the songs themselves. There’s a lovely variety of tracks as well, ranging from traditional folk-tracks to more alternative-rock orientated tracks. Everything results in a wonderful album experience where each song works well in the album’s context, and as tracks that can easily be listened to on their own. It seems that there’s very little wrong with ‘Wayfarers All’ as an album, which comes across as Green Diesel progressing their already existing strengths. It’s arguable that musically the album is perhaps not too adventurous for the most part, with everything sounding a little too safe. However, this is hardly a problem at all, as the album itself still comes across as an incredibly enjoyable, showcasing folk music brilliantly. It’s also arguable that the album’s closing tracks perhaps don’t meet up to the standard of the rest of the album, though their inclusion on the album itself still feels totally justified. Green Diesel have done themselves proud with ‘Wayfarers All’, which in many ways surpasses the bands’ previous efforts. Green Diesel have masterfully managed to both reinterpret traditional songs in their own style, as well as bundle them together with songs written by the various band members. To some extent, it all feels like everything the band attempted on ‘Now Is The Time’, but simply done better and much more strongly. ‘Wayfarers All’ is a lovely and wonderful accomplishment from a band who seem to only be doing better and better with each day. One can hope this streak continues for many years to come. Green Diesel’s latest album ‘Wayfarers All’ is out now. Folk-Rock band Hunter & The Bear seem to have been making somewhat of a storm in recent years, with their live shows being somewhat noteworthy for the band itself. The bands latest EP release ‘Before I Come Home’ expands upon their previous EP release, featuring folk-rock tracks that seem to just do so much right. The band present both a subtle and somehow electric style in their songs, balancing between both comfortably and easily across just four tracks. Hunter & The Bear have a lot to offer the folk-rock genre it seems, and they seem to be doing everything they can to prove it. ‘Before I Come Home’ is a rather short album experience but it serves as a brilliant taster of what it is Hunter & The Bear have to offer their musical genre. The EP features traditional techniques, though done in a way that feels fresh and enjoyable. At the forefront of the music is the bands’ ability to just let their own talents speak for themselves, with their music sounding gorgeous and enjoyable. It seems that Hunter & The Bear have managed to inject enough of themselves into their own music to make it feel like their own music, as opposed to just new versions of old styles, as so many bands have done. It is arguable though to some extent that Hunter & The Bear don’t actually offer enough variety in their music, as each of the four songs seem to follow roughly similar formatting and instrumentation, not showcasing the full capabilities of the band. Overall though, it seems that there’s enough being offered by the band to really make ‘Before I Come Home’ work as an EP experience. The new EP features enough songs to make it a satisfying listen, whilst also making us want to hear much more from the band as well. The music of course is nothing short of lovely for the most part, certainly showcasing some of the best talents of the band in the EP’s best songs. One can only hope that the success Hunter & the Bear are experiencing continues to grow, and allows them to really blossom forward as a band. Hunter & The Bear’s latest EP ‘Before I Come Home’ is set for release on 18th August 2014. Less than a year after the release of the brilliant and intimate ‘Rewind The Film’, Welsh-rockers Manic Street Preachers present their follow-up album of ‘Futurology’. The latest album seems to fill in a few of the gaps left behind from ‘Rewind The Film’, opting for a much more forceful rock setting than the subtle effects of the previous effort. Whilst ‘Rewind The Film’ featured Manic Street Preachers looking back upon everything with a gentle demeanor, ‘Futurology’ sees the band looking forward, pushing absolutely everything they have to offer. Whilst musically, ‘Futurology’ seems to depart somewhat from ‘Rewind The Film’, the two albums still feel very much a part of each other, as though they are mirror images of each other. ‘Futurology’ sees Manic Street Preachers really pushing themselves musically, incorporating a large number of elements and genres to really bring out the music itself. A strong element of krautrock seems to anchor the whole album down, linking up all of the songs featured on the album. There’s some great tracks at play here, which are certain to please the long-time fans of Manic Street Preachers. There’s a lot to enjoy on ‘Futurology’ which certainly showcases the great talents of Manic Street Preachers. Those though who were greatly impressed by the warm intimacy of ‘Rewind The Film’ might be somewhat disappointed by the rather pumped up and energetic ‘Futurology’, which seems to abandon much of the subtleties of the previous album. Perhaps this is the intent of the band, to showcase themselves as a band moving forward, but it still comes across that whilst ‘Futurology’ is a very strong and enjoyable album, it is just not as good as it’s brilliant predecessor, (though some fans of the band might perhaps disagree on that point). ‘Futurology’ isn’t as warm and inviting as it’s companion album, though it offers something new and fresh from the Welsh rockers. Everything feels fast and fun as though the band is really truly moving forward (as the album tries to imply so many times). Whilst ‘Futurology’ is designed to accompany its predecessor, it hasn’t been designed to simply be another version of the album, but instead a new viewpoint and a new chapter. Manic Street Preachers certainly seem to know what they’re doing, and with another great album under their belt, they’ve no where to go but up. Manic Street Preachers’ latest album ‘Futurology’ is out now. 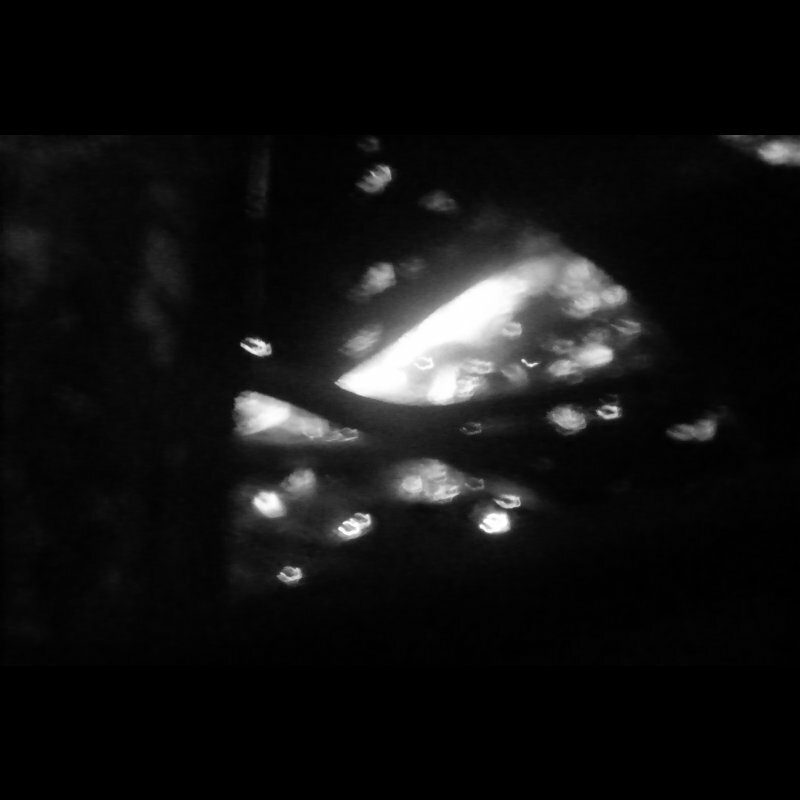 Post-rock outfit Minot present their latest release titled ‘Equal/Opposite’. The new album sports some very interesting styles, blending together elements of post-rock with krautrock, as well as some experimental ideas thrown in for good measure. There’s some interesting ideas at play here, with Minot presenting what feels like a concept album, expressed through the medium of instrumental rock music. Much of the efforts result in a very interesting album experience, which features a great amount of creative ideas that are certainly very impressive. Minot’s strengths come from their ability to string together all their songs into one cohesive listening experience. Each track on the album presents the overall story in fine fashion, which feels very interpretative due to its nature of being instrumental rock music. It’s all very interesting, with the creative ideas really coming forward well to not just present something that is interesting, but also sound different. Minot have a lot going for themselves as a band, with ‘Equal/Opposite’ coming across as a very impressive album experience, and one that will certainly be enjoyed by fans of the post-rock genre. Whilst there’s certainly a lot to enjoy from Minot on their latest album, it feels that the band have sadly let themselves down on a few little instances. Whilst the album works incredibly well as a whole album experience, it seems like Minot have only focused on this particular element, rather than allowing their music to work well in both the context of the album, as as stand-alone tracks when listened to separately. Some of the tracks as well seem to feature certain experimental ideas or techniques which don’t actually add a great deal to the music itself, giving it a somewhat confusing and annoying nature instead. Whilst there’s some flaws to ‘Equal/Opposite’, Minot seem to have managed to produce a very strong album experience. Even with it’s negative moments, there’s enough being presented by Minot to make the whole album really work well as a whole, with the concept coming through very nicely purely through their own creative techniques. Whilst ‘Equal/Opposite’ might not be the best post-rock release of this year, it is certainly one of the most interesting, and thus worth listening to in its own rights. Minot’s latest album ‘Equal/Opposite’ is out now. 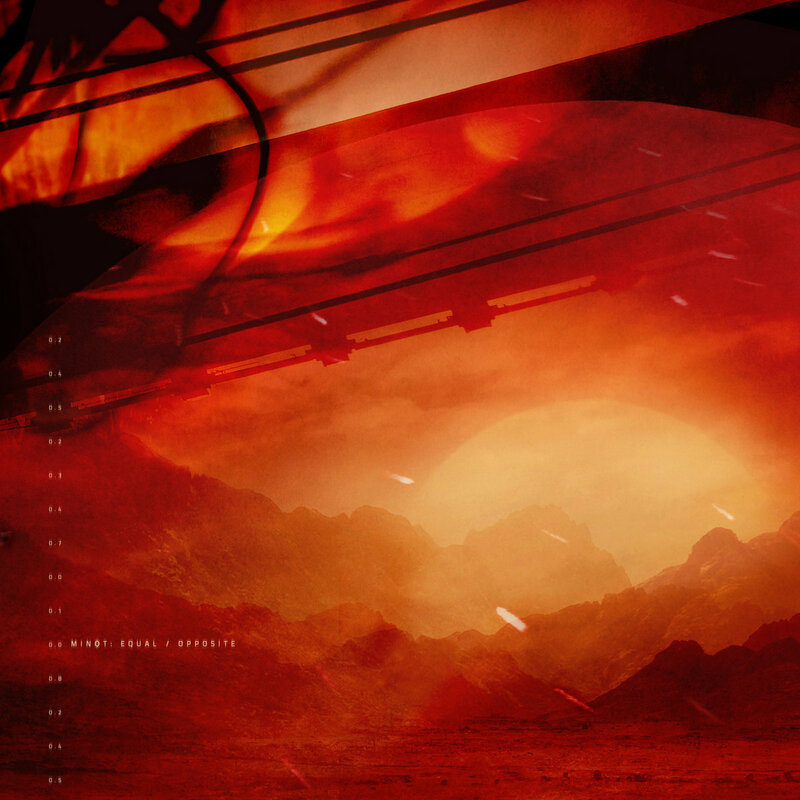 Alternative rock band The Sons offer up their latest album ‘Heading Into Land’, featuring a blend of alternative rock tracks in a variety of styles. Much of ‘Heading Into Land’ is made up of somewhat simple sounding yet well presented alternative styles, echoing various bands such as Wilco, Crowded House, Eels and even Beck at times. Most of ‘Heading Into Land’ feels well presented, with the varying alternative styles working well with each other to create a full album experience. There’s a fair amount to be enjoyed from The Sons, though their album perhaps doesn’t work as well as they might have wished for. ‘Heading Into Land’ seems to come across as an album of musicians who are really enjoying the process of presenting their music. Something about the performances on the album itself give off an impression that The Sons are having a lot of fun writing, performing and recording their music, giving their album a very nice edge. Most of the tracks featured on ‘Heading Into Land’ easily put a smile on your face, especially when the album really gets into itself and gets stronger and stronger. There’s a lot to be enjoyed from The Sons who seem to have a really good firm grasp of the alternative rock genre, and what it is they can do of it. Whilst there’s a lot to be enjoyed on ‘Heading Into Land’, the album itself is let down on a few counts, especially at the beginning where the opening tracks fail to make any impressive impact upon the listener. There’s something a little lackluster about the opening, giving the album itself a sluggish start that doesn’t create any good impression. It seems the album does manage to get going after a while, but it is still interspersed with rather weak songs that don’t seem to do much for the album itself, and instead feel a little bit like filler material. Whilst there’s a few weak songs featured on the album, there’s still some lovely elements and some lovely songs being presented by The Sons, who certainly have a lot of talent as a band. Most of the songs present some very nice themes and ideas from The Sons, showcasing them at their best as an alternative rock band. Although the album’s first half feels rather weak to begin with, there’s a very enjoyable second half on the album that certainly offers a very nice amount. Whilst ‘Heading Into Land’ is not a perfect album, it is certainly a very enjoyable album at times. The Sons’ latest album ‘Heading Into Land’ is out now. Contemporary singer and song-writer Peggy Seeger makes way for her latest album release titled ‘Everything Changes’. The new album comprises of some new compositions and songs, all of which contribute to present a new album. For the most part, we’re presented with a somewhat interesting array of tracks, featuring Seeger in her old-age still sounding as good as she did in her younger years. There’s something about the album that’s meant to be rather heartwarming and interesting, but it feels like much of the efforts have sadly failed, resulting in a disappointing and rather lackluster album experience. Many of the tracks on the album seem to just present rather simplistic views on love and what-not, with the stronger moments being when Seeger delves into herself to draw out from her own experiences. We start to understand her just a little bit more, and thus her music starts to make just a little bit more sense. It’s at these moments we see the strengths of the album itself, with it all being accompanied by very delicate and fairly enjoyable instrumentals. At these points we find the album arguably at its most interesting. Whilst Seeger seems to have really pushed both herself and her backing band to create an interesting album, it just doesn’t seem to have worked all that well. There’s a strong start to the album, but then it all delves into silly notions about things we’re heard before, both lyrically and instrumentally. There’ a fair few songs featured on the album that seem to just come across as annoying, with the instrumentals just being frustratingly benign. Apart from herself, there is actually very little that Seeger is actually offering on her latest album, which comes across as a very weak and dull experience. Perhaps there is a lot on offer from Seeger, who certainly has some enjoyable traits as a musician and song-writer. It feels though that it is hard to find on the song-writer’s latest album, which comes across as a poor compilation of badly written and badly composed songs. The few songs on the album that have anything at all to offer sadly don’t do enough to justify the album itself, which just doesn’t seem to work at all as a whole. 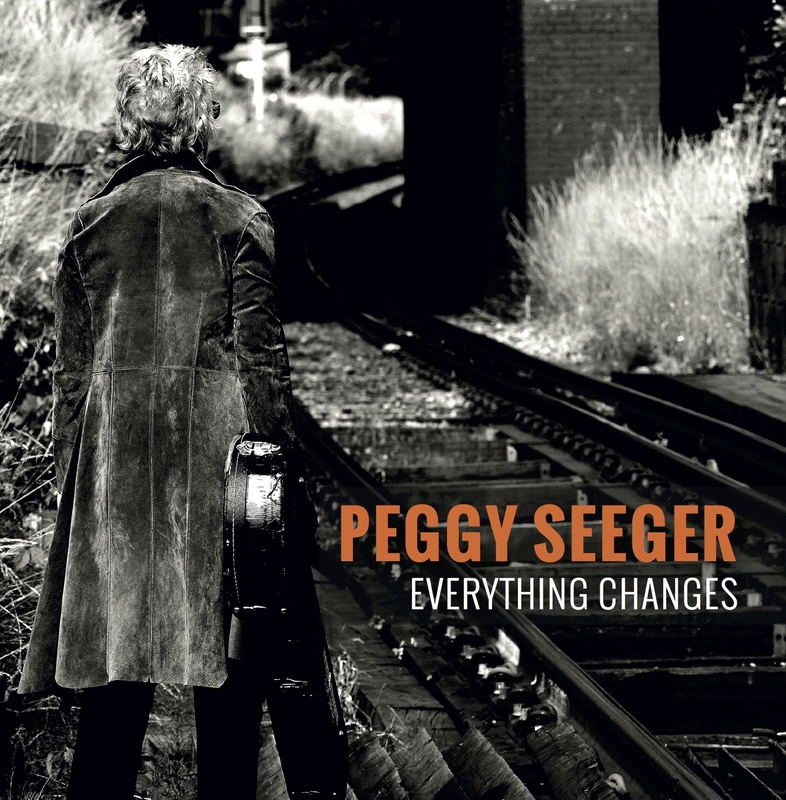 Peggy Seeger’s latest album ‘Everything Changes’ is set for release on 1st September 2014. Terra Tenebrosa present a rather interesting release with ‘V.I.T.R.I.O.L. – Purging The Tunnels’. 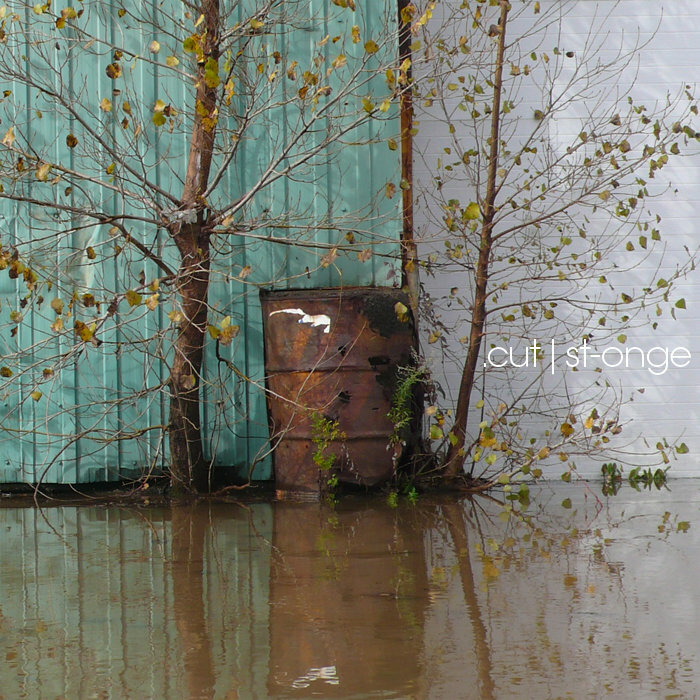 The new release comprises of two tracks, one at roughly 18 minutes in length, and the other lasting just shy of 7. Following on from similar concepts from the bands’ previous releases, ‘V.I.T.R.I.O.L. – Purging The Tunnels’ offers us a new view of Terra Tenebrosa’s concept character The Cuckoo, offering new chapter’s behind the character. The new release from Terra Tenebrosa is certainly a dark and gloomy release, through it comes across as one that can be enjoyed easily by those who know and enjoy the bands’ music, as well as those just introducing themselves to the band. There’s an interesting amount of variety being presented by Terra Tenebrosa, who showcase some interesting musical styles across the two tracks that make up the new release. As well as sporting customary dark gloomy metal elements, the band also allow their music to give way to dark ambient and even post-metal at a few points. Everything is kept very interesting, and whilst being harsh in nature, it’s an enjoyable listen to those who enjoy the genre. 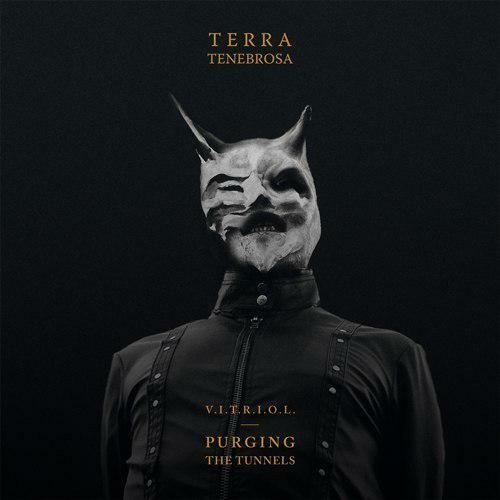 One might argue perhaps that Terra Tenebrosa are being a little too indulgent at times, with the 18-minute track perhaps sporting a few elements and techniques that are a little bit unnecessary or just not even needed. However, as the two tracks come to a close, there’s something very coherent and interesting about everything that has just been experienced. Whilst somewhat of an odd release, Terra Tenebrosa have managed to create a very interesting and creative experience with ‘V.I.T.R.I.O.L. – Purging The Tunnels’. The harsh metal elements of the tracks won’t be to everybody’s taste, though there is a lot on offer to both those who enjoy metal music, and those who simply enjoy music that is creative and interesting. Both tracks work incredibly well in both telling a story, and simply just sounding interesting and enjoyable. Terra Tenebrosa certainly know what they’re doing when it comes to their songwriting, and one can only wait to see what they’ll do next. Terra Tenebrosa’s latest release ‘V.I.T.R.I.O.L. – Purging The Tunnels’ is out now. Folk-trio Arcelia, from East Kent in England, offer up their latest album ‘Wrap You Bones’. The new album from the trio features a very enjoyable collection of contemporary folk/acoustic music, showcasing the bands’ many talents as a band. The album features some very strong songs, contributing nicely towards an overall album experience that contains a few little twists and turns to keep it interesting whilst not being too polarizing. 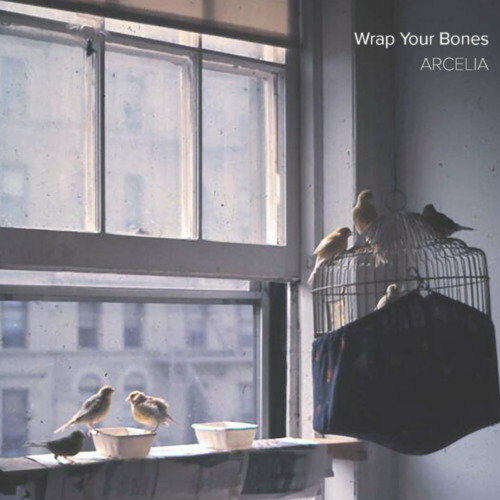 For the most part much of Arcelia’s efforts have worked very nicely, with ‘Wrap Your Bones’ coming across as a very enjoyable album experience. Much of Arcelia’s strengths seem to come from their simple ability to not over-produce the music they are creating, and instead just let their own talents reign free and speak for themselves in each of the songs. There’s a lot to enjoy from the new album, which features gentle instrumentals accompanied by a variety of different vocal styles in the various songs. ‘Wrap Your Bones’ featured gentle tracks whilst also keeping itself interesting through simple variation. The album itself is a rather enjoyable listening experience, which will certainly find a home for those who enjoy gentle contemporary folk-music. Whilst Arcelia demonstrate a great number of talents and creative ideas on their latest album, it seems that there’s a few negative traits that slightly dampen the effect of the whole album itself. Whilst the album gets off to a very strong start, it feels that the whole album experience seems to become a little bit sluggish as it progresses. Something about the songs featured during these sections just don’t seem to live up to the strengths previously displayed, giving it a slightly poor quality. There’s nothing inherently wrong with the tracks themselves, though sadly they don’t seem to add up to a great amount. Whilst ‘Wrap Your Bones’ does feature some regrettably poor songs, it does come across that the efforts and creative ideas of Arcelia has resulted in a very enjoyable album experience. There’s something just lovely and gentle about the music featured on the album that helps to make it a very enjoyable album. It’s also very accessible for the most part, featuring musical elements that don’t sound weird or unusual. Perhaps it’s a little bit too safe at times, but as an album it’s all been presented very strongly, making it a very good album experience. Arcelia’s latest album ‘Wrap Your Bones’ is out now.